Waves of sandstone are revealed within the earth by filtered sunlight from above. This is one of the most amazing places I've ever had the opportunity to photograph. 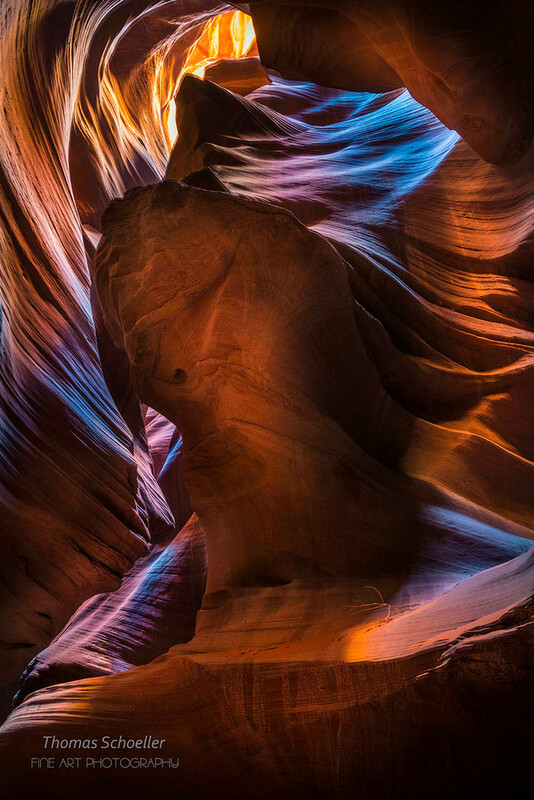 As the light finds its way into the slot canyon, it bounces and reflects in ways that create mesmerizing moods and astonishing hues. It's hard to believe this entire slot canyon system is the result of powerful thunderstorms. Raging flash floods tear their way through the Navajo sandstone, carving intricate shapes and textures. This artwork is available in every fine art media display option I offer on my website, in sizes ranging from 8x12 up to 40x60.